The Metro Manila commute is one of the struggles of every urban dweller. It gets worse during rush hour, and more so when you have the dreaded combo: Rainy Friday payday. But with the new routes that the point-to-point bus services keep adding, traveling to and from far-away cities is now more convenient. 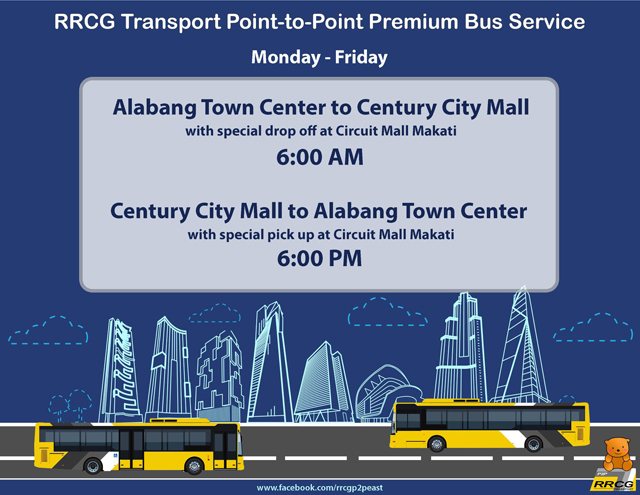 RRCG Transport, one of the biggest operators of point-to-point (P2P) buses in the Metro, just launched a new service from Alabang Town Center in Muntinlupa City to Century City Mall in Makati City. 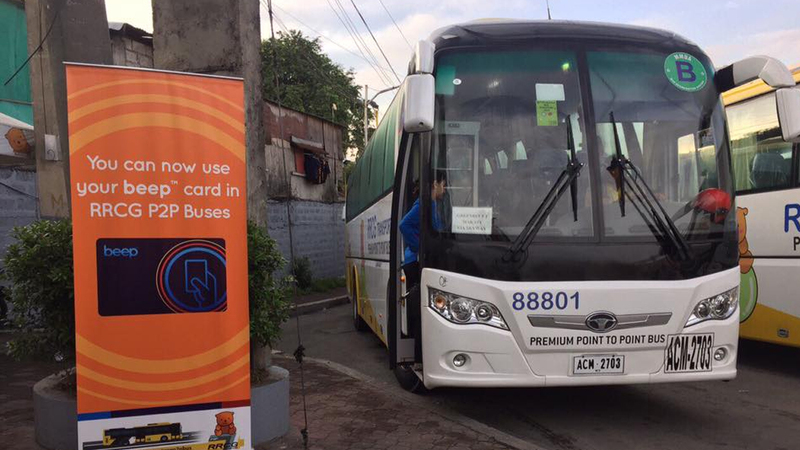 Trips, with a one-way fare of P100, are available from Monday to Friday.